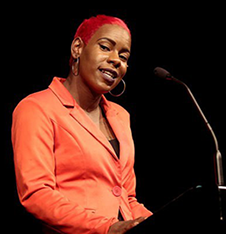 Shakira Martin is the president of the National Union of Students (NUS). After serving as vice president (further education) for two years, Shakira was elected president in April 2017. She successfully completed a diploma in education and training whilst sitting on the NUS Black Students’ Campaign committee as the further education representative. Shakira is the second president in NUS history to not have gone to university before taking up the post. Shakira will be the opening keynote speaker on day one of Digifest, Tuesday 6 March, at 10:00. See full Digifest programme. A multi award winning surgeon, teacher, futurist, innovator, entrepreneur and an evangelist in augmented and virtual reality. He is a TEDx and an international keynote speaker and has a faculty at Singularity University, a think tank in Silicon Valley. Shafi is a cancer surgeon at The Royal London and St Bartholomew’s Hospitals and has been awarded the accolade of the most watched surgeon in human history. His mission is to merge the world of medicine, global education, and virtual and augmented reality to democratise and scale surgical education to make it affordable and accessible to everyone. Shafi co-founded Medical Realties who have just released the worlds first VR interactive surgical training module. He's also a co-founder of Hearthy, a healthcare blockchain company, and a non executive director of Medic Bleep, a communications platform for healthcare professionals. He recently disrupted the traditional medical school curriculum by launching the Barts X Medicine programme, which has embedded future technologies and entrepreneurship into the medical school. Follow Shafi on Twitter @ShafiAhmed5. 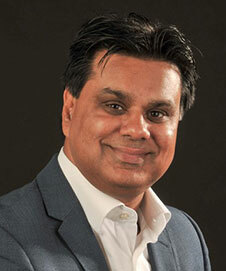 Shafi will be the closing keynote speaker on day two of Digifest, Wednesday 7 March, at 15:00. See full Digifest programme. 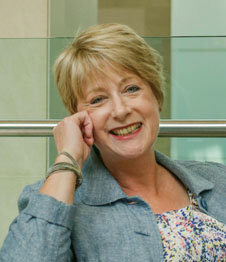 Rose Luckin has been described by The Seldon List 2017 as the ‘Dr Who of AI in education’. In her role as professor of learner centred design, UCL Knowledge Lab she has undertaken groundbreaking work into understanding what robots can help achieve in the classroom. Alongside this work, she is also director of EDUCATE, a collaborative working partnership led by UCL Knowledge Lab that connects edtech companies, entrepreneurs and startups with first-class business trainers, experts and mentors. Rose will be giving a keynote alongside Nick Woolley on day one of Digifest, Tuesday 6 March, at 16:15. See full Digifest programme. Nick Woolley is head of library services at the University of Northumbria. Nick is inspirational, challenging and progressive. His work looks at the role of the library in the 21st Century, particularly how technology, together with ‘traditional’ librarian skills of knowledge and information management open new opportunities to enhance the learning environment to improve student experience and contribute positive impact to teaching excellence. Nick will be giving a keynote alongside Rose Luckin on day one of Digifest, Tuesday 6 March, at 16:15. See full Digifest programme.